Jr. Membership (under 18: $20.00 per year (must be sponsored by and attend with an adult member in good standing). (membership costs prorated to 50% if you join after June 30. There are many reasons to consider joining our guild. Perhaps you are new to the area, or you are a beginning quilter looking for mentoring and friendship. You may be an intermediate quilter who loves to take classes to extend your skills. 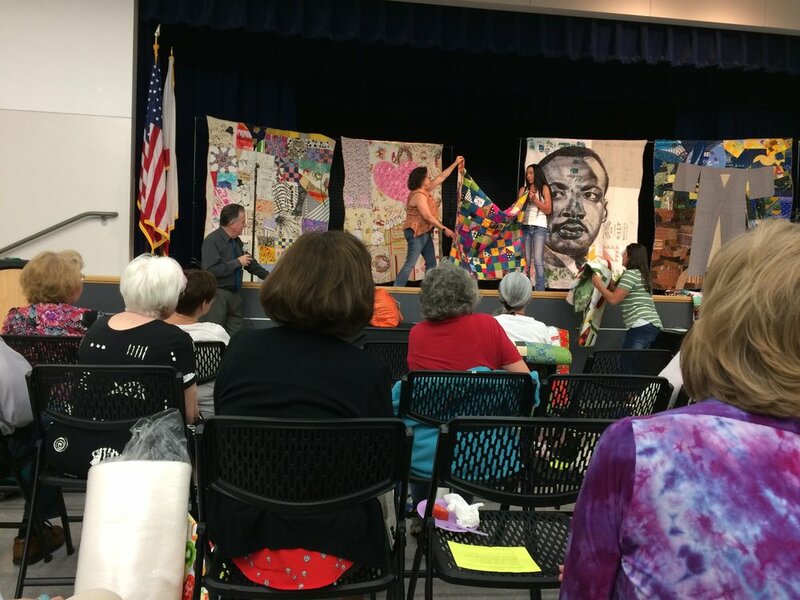 You could even be an experienced quilter willing to share your skills, wanting to experience new techniques you have not tried before, or looking for an outlet for community involvement. If you have a desire to further develop your interest in quilting and textile arts, and also want to give back to your community, Valley of the Mist Quilters Guild can help you meet all of those goals. Join us! Click on the following link to open, print, and complete this membership form. Membership forms are also available at the sign-in table.